Dr. Subramanian Swamy has frequently stated Priyanka Vadra suffers from mental problems and alcoholism. He recently reiterated that she suffers from a Bipolar disorder and prone to violence. Immediately, the Fiberal footsies of the Chinese Gandhis jumped up in anger. They accused Swamy of bogus allegations, of attacking a woman and belittling a mental condition. Swamy can be harsh with words often but he is also not a frivolous person who would throw around comments that are inherently spurious. And what exactly is wrong if the medical condition or fitness of a politician is questioned? After all, our politicians get all kinds of chest pains or attacks only when they are jailed – either on arrest or after conviction. Lalu Prasad is now more in hospitals than in a jail but wants bail so he can manage his party’s LS2019 campaign. India has not opened up fully on psychological disorders. Even depression that is quite common is only now being discussed widely. Let me take each point listed in the pic above and give some examples in the same order. 1) RG winks in the parliament like a delinquent schoolboy. He lets his rowdies fly paper airplanes inside the Parliament. He asks the PM to stand up and even when the PM does not, he hugs the PM in Parliament. 2) Lies and deceives others like the French President told him this or that. 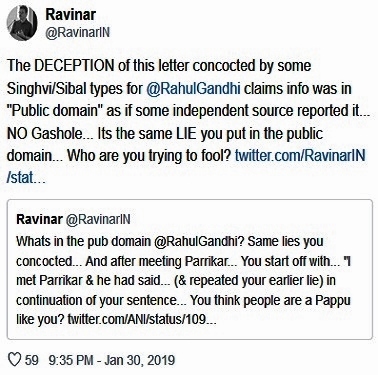 RG is reported to have aliases like “Raul Vinci” and possess dual citizenship. Dresses up deceptively as a Hindu or Muslim for personal gains. 3) Long term plans? No, he doesn’t even have short term plans. He is more like the way the wind blows plan. 4) Tears up ordinances in arrogance. Confronts police in aggravated behaviour like in Mandsaur. 5) Runs off in unmarked cars in Rajasthan threatening his own and others’ safety and security. Jumps security barricades at places. Rides on bikes in Rajasthan and violates security norms. 6) Meets people like Kalawati but never follows up. Is accused of Tax-Chori. 7) Doesn’t feel guilt for brazenly lying. Doesn’t apologise for any of his offences. Is extremely deceptive as in the Parrikar incident. 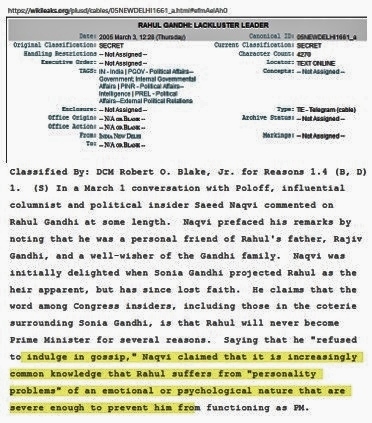 Maybe RG was indeed diagnosed early in life for personality disorders as Naqvi is quoted in the Wikileaks cable. Maybe some of his frequent secret trips abroad had something to do with treatment relating to his psychological disorders. We do not know and those in the know will not reveal. However, given his consistent sociopathic behaviour, not one single media outlet has ever questioned his behaviour within and outside Parliament. His moronic act of asking the PM to stand up and then hugging him was actually defended by almost all media crooks as one of a great change in Parliamentary conduct. In reality, it is delinquent behaviour that seeks to disrespect decorum and social norms. 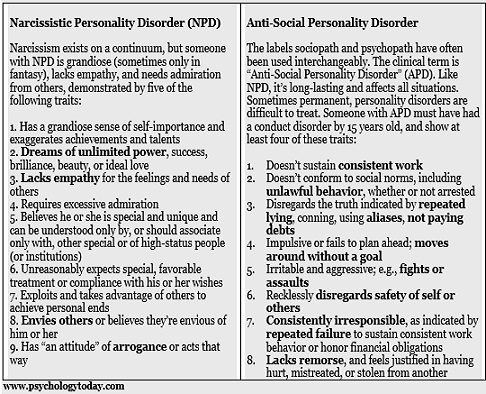 Untreated sociopathic behaviour is as bad as untreated diabetes. It will not only corrode the individual, it will also corrode the political discourse in which RG indulges in. 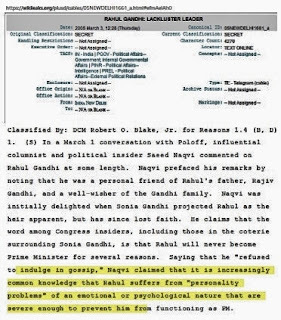 RG may be a toy in the hands of some puppeteer like Steve Jarding and some party “handlers” but calling the PM a “Chor” without the slightest of evidence and even stating “I have no proof but I know the PM is involved” is definitely anti-social personality disorder. This disorder was fully evident after the Parrikar episode. RG’s idiotic utterances that people generally laughed at has now degenerated into extreme sociopathic behaviour and there is no doubt this will progressively get worse. RG publicly claimed President Macron told him there was no secrecy clause in the Rafale deal. This was another BIG LIE. Macron stated clearly that the Rafale issue never came up during his brief meeting with RG. A politician, that too an MP and Head of a political party, lying so brazenly is indicative of serious behavioural issues. In the past, his “Aloo to Sona” or “Made in Dholpur, Made in Jaunpur” or “Jupiter’s velocity” kind of nonsense was laughed off as idiotic statements but these come from an utter disregard for the general intelligence of others. 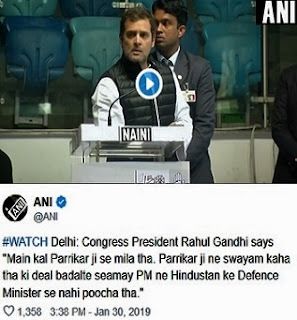 And when even a 14-year old kid confronts him with a realistic question (as in his recent Dubai visit) RG responds with a foolish counter question like "What will you do if you were the Prime Minister?" Obviously, Jarding and his handlers didn’t coach him for answering such impromptu questions. And it doesn’t occur to the imbecile that the 14-year old kid is not the PM aspirant or candidate – he is. Analyse this whole thing carefully. 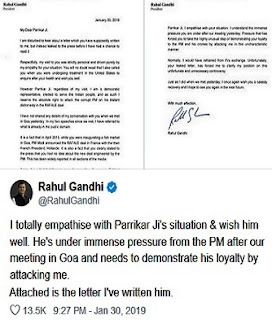 After blabbering lies and utter nonsense RG then claims Parrikar is “attacking” him. In all the months of RG’s Rafale nonsense, Parrikar never once mentioned his name or got into the Rafale issue ever. 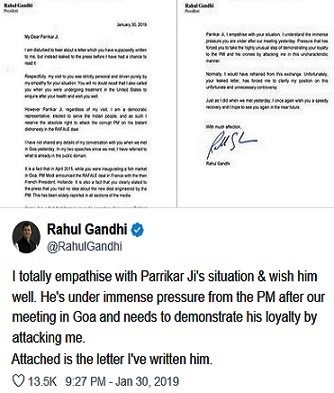 It is only after RG blabbered lies that Parrikar had to issue a letter calling out his lies. So, first meet Parrikar, then lie and then play victim. Perfect! Then, RG gets into sarcasm stating Parrikar is under pressure and he “empathises” with him. Note very clearly, this foolish RG does not know such words. RG deceptively claims what he stated about Parrikar was already in the public domain. This is another grand LIE. Who put the lie in the public domain? Some CBI or FBI after investigation or some news report that put it out there? NO! 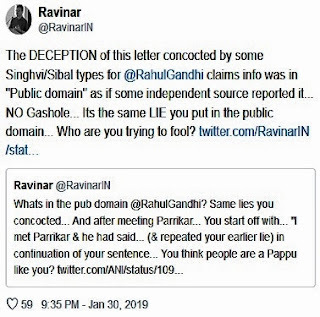 It was RG himself who put the lie out in the public repeatedly and then claims it is already in the public domain as if some independent source had reported it. This is the handiwork of Jarding and RG’s handlers. RG does not have the brains for such concoctions. He is a psychologically damaged man who has been pushed into a role he is not suited for and now is now being goaded to somehow become a hero that he is not. RG does not have any body of work that can be recognised nor does he have any body of success to be writing about. His failure as an individual in every endeavour he undertook in the past drives his rage and sociopathic behaviour. Dr. Swamy has also repeatedly alleged that RG is a drug abuser. Many of his trips abroad were suspected to be rehab treatment. 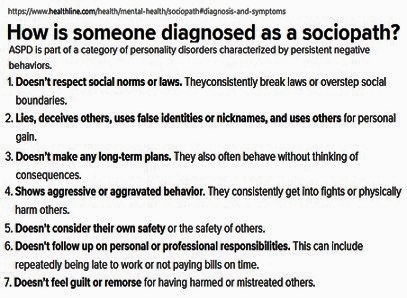 I have studied psychopathic and sociopathic behaviour for a long time. All psychopaths are sociopaths but all sociopaths need not be psychopaths. Psychopaths are sociopaths that degenerate into criminal conduct. The nonchalant fraud with the NatHerald and related land-grab is a classic case of a brazen sociopath degenerating into criminality. Perhaps RG doesn’t even have the brains to comprehend the NH fraud completely. He probably thought the Gandhis are above the law and this is normal conduct for them. RG has consistently demonstrated all the traits of a dangerous sociopath. His behaviour has been foolishly classified as a “maturing” by his cronies and many senior media goons. Not one so-called senior journo from the slavish Shekhar Gupta to violent Rajdeep Sardesai or the Congress footsie Barkha Dutt cares to analyse the behaviour of this sick man. RG is a danger to the public and a danger to himself. With such a psychological condition, forget being a PM or a Minister, RG should not be in public life at all. No individual, party, state or country should have to pay the price for having a sociopath as the Head of a corrupt and desperate party. Rahul: has all above negative traits. You post very beautifully highlights this fact. Correct & real observations. Pappu additionally is a crack, time to send him to mental hospital. Now there is lady don in west bengal jihadi didi mamata maassama who surpassed Rahul Khan in pyshopathy and hysterically offensive. She is fearing a lot, over reacting digging her own grave. Excellent analysis. I fully agree with what has been stated. People supporting RaGa r people who sees a possibility of getting share in rampant loot, if he succeed in grabbing the highest post of PM. They need fools like RaGa at helm for an easy & expedite loot of the nation. From the beginning, I knew this. But found it always difficult to get it to Ordinary people without knowledge of psychology/psychotherapy, including family members. Everyone thought that he is a fool, duffer etc and were sending multimedia messages poking fun at him. That did not disturb him a bit nor have I found anytime him to be guilty for actions nor lack of knowledge. Never. Not even once. Classic behaviour of a sociopath. This behaviour also evokes fear in the big names of his own party and may be others in fear. These guys cannot be predicted. In addition, this behaviour is becoming common amongst youngsters and children due to severe stress created by the schools and the parents together. Either get into depression or lie to self and others which becomes a personality due to continuous usage of a particular behaviour. Fant spastic analysis of this sociopath!Sad that some political parties,a sizable part of media are rallying behind him and giving weightage to this idiot!Some are eulogising his criminal acts,sometimes quixotic acts! Thank you for superbly analyzing Pappu & his team. Hope people understand the danger he & his team pose to Bharat. No point in laughing at him because he is not worth it. He & his family should be simply hated. The problem of our nation is population and literacy and these goons are making use of these poor illiterate people by telling lies. This is the cleverness of that fake gandhi clan. This family should be exposed to the common people of our nation. Has he become sociopath by design or by accident? The fact is he is one by whatever reason. Incisive description. But,it is difficult to convey this strong and truthful article to the common man,that is the tragedy. 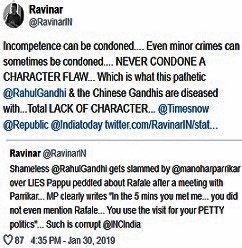 Ravinar you forgot to point out one of his trait; Not understanding or not appreciation the mood of the situation. He is frequently seen laughing/smiling in a very somber situation. Then RaGa is more apt candidate for curropt, unethical businessmans, corporates,benami owners of shell companies, media houses, religious leaders As a PM. So that they run there show,RaGas wavery and fluctuating mind will be like an additional benefit for them. What is in this article content of journalist, definitely our media house also must be having it or aware of it, but why still RaGa is there chocolate hero and maintained silence over this. 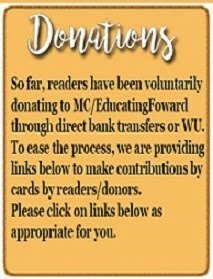 I personally feel this one should have come to our mail, rather then posting it online. Worry is his RaGas fan base might increase with this exposure. 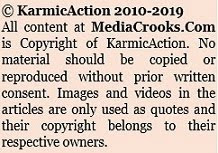 I have been and still do chainmailing, WA, twitting Ravi Sir articles. TwitterIndia controlled by white sewer prds Pakipanjabis and Kashmiri Brahmins blocked 21 Handles in 2 years to make their Half italian white genocidal Xtian Supremacist Boss Jack happy. When will Indians be rid of dynastic rule?. Pseudo Gandhis, Karunanidhi family, Lalu Prasad, Chandrababu Naidu, Chandrasekar. As long as this stupidity continues in the minds of Indian People we have to put up with Sociopath tendencies, because even mentally deranged people will have to be treated abroad to present in front of Indian people. When Indians realise that within political parties there could be people who can become good leaders then this can end. Somehow some of the political parties have become family owned enterprises. This concept has to be ended ONCE AND FOR ALL. Pappu is a mentally unsound person, supported by KGB agents. Not only these bloody sewer blooded Italian White skin followers of White Supremacist, lunatic ideology of Genocide Padrivadis, but also the lunatic genetic lumpens created in the worst sewers by the Brits/Portuguese/Turks, the Pakipanjabis Scythian-Turk-Mughal-Brits mishmash Bongs are genetic sociopaths and psychopaths. And if Native Indians want to survive and not become Tainos, the genocidal ideology of White genocidal Jebusvadis, and the gutter filth of Bdesh and Pak LAA-WHORE need to be out of India. AND we have already given these "White Perils"PAk and White Swine Flu Bdesh, these treacherous evil pitvipers have no place in India. And the Sure Shot method to END poverty in India is just top forcefully remove, the "White and White beggeted Swine Flu" from India with the White Supremacist, Racist Klann ideology of Racist genocide called Jebusvaad. The white mercenaries convert Samosa greedy enjoy their women, but not a single sewer prd is taken in by Goras to hell hole of Vatican though they will lick their dogshit also. Native Indians are slowly but surely moving to extermination like Natives of US, South America, Australia, Canada, by the Barbaric ideology of White Racist barbarism called Xtianity and "White peril". The white countries (Not even their countries but snatched by genocide, 4 billion--will convert to 21 billion in today count) banned Asians, Blacks etc till 90S IN Many countries. IS IT NOW NOT TIME TO PAY THE EVIL, VILE GENOCIDAL WHITE PERIL IN SAME WAY? RG is a brazen lier. It is good he talks the way he does. The people have understood him better than the Congress party lackeys. It is easier for Modi to take him on the LS campaign. Incidentally, Priyanka is now inducted in the party only to garner support for her husband Robert Vadra. The timing of Priyanka jumping in officially as Congress gen. Secretary has to be questioned and not the timing of ED questioning Robert Vadra.